In business for 20+ years. No job is too big or small. Whether it’s Christmas tree stands or 125,000 lb crane pedestals, Alafab can handle the job. Alafab has a complete machine shop that includes small lathes and milling machines to vertical mills that wing 104″ diameter. 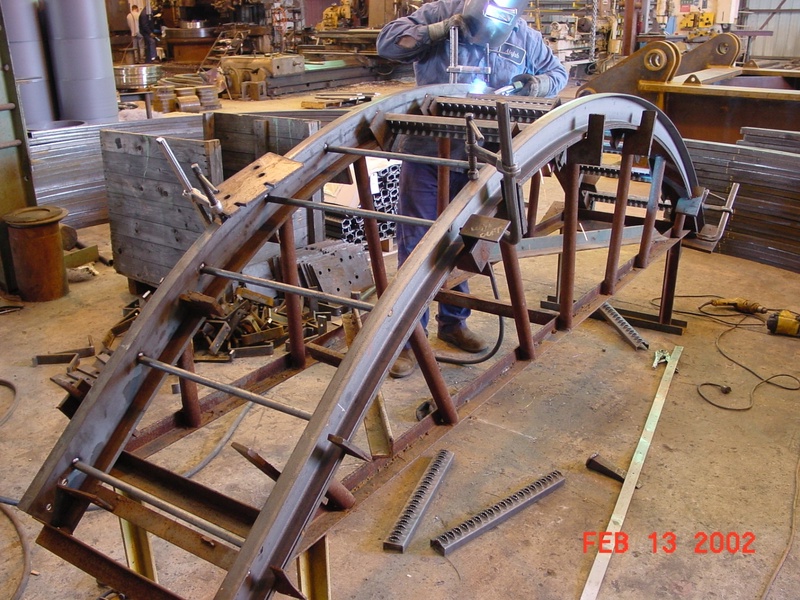 Because of the rising cost of new steel, repairing and rebuilding worn and/or corroded parts has become a necessity. Now more than ever, Alafab understands the value of a dollar, and has implemented a complete rebuilding/repairing program. Alafab, Inc. was established by Kevin R. Howard in 1993. We currently have 10 acres just off Airport Boulevard at 770 Pierce Road with approximately 35,000 square feet of shop space. We are located 1 mile west of the Mobile Regional Airport. Alafab was established in 1993 with the goal of building a competitive fabricated and/or machined product with superior quality over all others.